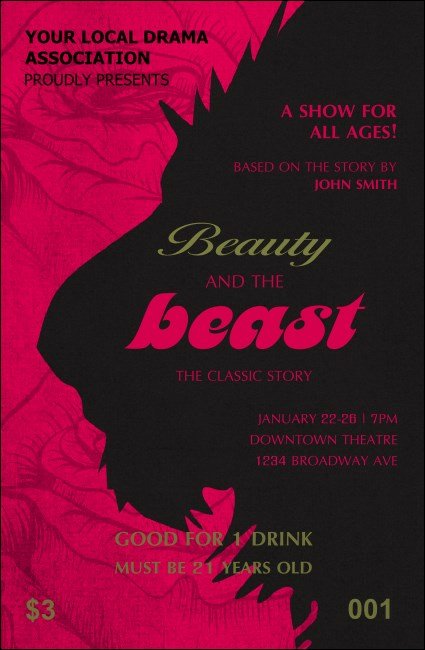 Make sure everyone is proud to imbibe at your function when you hand out the Beauty & the Beast Drink Ticket! A perfectly rosy background makes the silhouette of a beast in black pop, along with 17 lines of beautiful text in pink, black and gold. Classic or contemporary, the right ticket for every occasion waits at TicketPrinting.com!